Relations between Mexico and the United States appear so disappointing these days that we may find it difficult to remember them differently. Mexico-U.S. relations, however, have seen better times and recalling them could serve as a model for what is possible. Claiming Rights and Righting Wrong in Texas does this by summoning the memory of World War II, when Mexico and the United States fashioned the closest and most cooperative set of relations that we have ever seen. The exuberant WWII poster that appears on the book’s front cover captures the celebrated unity between wartime neighbors, when Mexico intervened on behalf of Mexicans in the United States and the State Department initiated a campaign to improve relations between Mexicans. Mexico’s insistence on elevating racial discrimination to a higher level of importance and the U.S.’s decision to expand its Good Neighbor Policy into the domestic arena, by investigating and settling cases of discrimination during the war, demonstrates how Mexican Americans entered center stage in the political arena of minority and labor politics by way of an international, or more precisely hemispheric, body politic. Mexico’s decision to deny their contract workers to Texas farmers who were especially known for their lack of hospitality towards Mexicans and the State Department’s insistence on good neighborliness in Governor Coke Stevenson’s administration made the Lone Star state a key site of continued negotiations over racial discrimination and the government’s role in combating it. Claiming Rights and Righting Wrongs in Texas also shows that state and federal agencies promoting good neighborliness contributed to improvements in the social standing of Mexicans, but only to a minor extent. The expanded wartime economy with its unprecedented employment opportunities must be credited with much of their recovery from the hard times of the Depression. Recovery, however, was uneven for both U.S. and Mexico-born as they typically exited the farms and entered the urban-based and higher-paying manufacturing jobs at a slower rate. Inequality for Mexicans, as well as for African-Americans, remained relatively unchecked. The increased diplomatic cooperation that promoted good will and improved understanding in diplomatic and ethnic relations also allowed for the League of United Latin American Citizens (LULAC) to emerge as the one of the leading proponents of equal rights in the United States. Culturally adept at working the English and Spanish speaking worlds, LULAC representatives acted as intermediaries between Mexican communities in Texas and government officials from Washington, D.C., Austin, and Mexico City. As a result, they built a reputation for LULAC as one of the most effective Mexican organizations coming out of the period of the Second World War. Despite nagging problems like the persistence of racial discrimination and inequality, the unprecedented attention that Washington, D.C. directed at Mexico and the Mexicans in the United States raised postwar expectations for better relations and encouraged further official activism and Mexican agitation for equal rights in the postwar period. 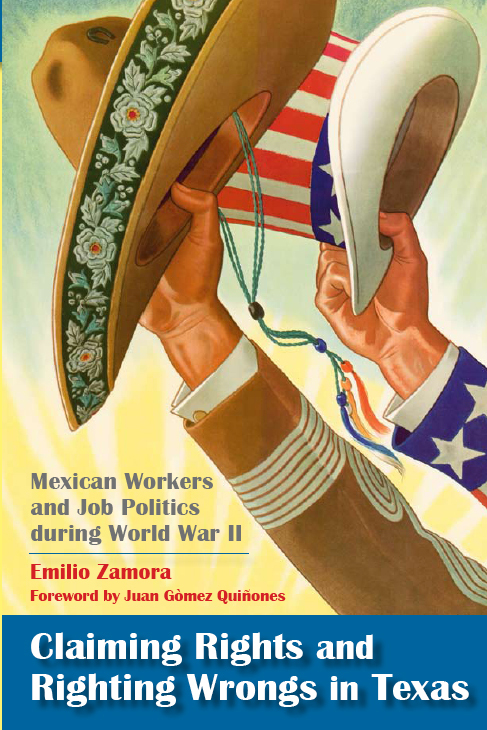 The good relations that Mexico and the United States established during the war years and the policy focus that they placed on discrimination and inequality among Mexicans in Texas may have been primarily intended as a wartime imperative. But then as now, necessary policies that better relations can provide for expanded visions of improved understanding and good will between governments and peoples.